Exploring Personal Injury: Who’s Really Liable? (US law and generally) Personal injury is a legal term that describes any physical or mental injury to a person for which another person is held liable. Although liability in personal injury cases is a complex concept that varies from state to state, several general rules apply in all jurisdictions. In order to establish another party’s liability for a personal injury, the injured party is required to prove negligence, intentional harm or strict liability. Most personal injury cases involve an injury that took place as a result of another party’s negligence. Proving negligence in a court of law is a four-step process. The injured party must first demonstrate that the negligent party had a duty of care; that is, they had some obligation to avoid causing injury. In many cases, duty of care is obvious. Motorists have an obligation to avoid causing accidents by obeying traffic laws, and employers have an obligation to provide a safe work environment for their employees. It is also possible for more than one entity to have a duty of care in a particular situation. For instance, the owner of a car is obliged to keep his vehicle in good working order, but that responsibility also falls on the car’s manufacturer and on the mechanic who performs repairs. Any one of those parties could be found liable, depending on the circumstances. Next, the injured party must prove that a breach of duty occurred. In other words, the negligent party either knowingly caused exposure to some significant injury risk or should have known that there was a significant risk. A motorist who runs through a red light, for instance, commits a breach of his duty to drive safely. 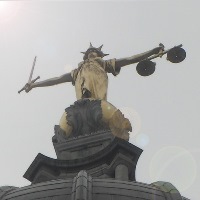 In cases where multiple parties have a duty of care, the court must consider the circumstances to determine which party committed a breach of duty. If the owner of a car fails to maintain his vehicle and is thus unable to stop, he is guilty of a breach of duty. If the owner brings his car to be repaired and the mechanic makes an error, the mechanic can be held responsible for a personal injury. Third, the injured party is required to prove that the negligence was the direct cause of a personal injury, and finally, he must prove that the personal injury resulted in harm; that is, actual financial loss. Common forms of harm include past and future medical bills, lost income due to inability to work and pain and suffering. Regardless of the circumstances of the personal injury, the injured party needs to prove financial loss in order to receive damages. A minority of personal injury cases involve the intentional inflicting of harm on another person. If, for example, one person pushes another down a flight of stairs, the pusher can be held liable for the harm suffered by the injured person. These cases are often coupled with criminal cases. Finally, strict or absolute liability occurs mostly in the context of defective or dangerous products. If a product injures someone, anyone involved in that product’s manufacture, distribution or sale can be held responsible for the injury. All personal injury lawsuits are restrained by a statue of limitations, which means the injured party has limited time to act. That’s why it is important to contact a personal injury attorney immediately after an injury occurs. About the Author: Jeremy, an independent writer for Attorneys.com, with a particular interest in personal injury law. Previous post: Is It Worth Making A Claim After A Workplace Personal Injury?